The Avensys Golf Simulator is a must for all golf fans. Our Golf Simulators are ideal for your home (or business) to help fine-tune your skills, or play on world-famous courses as often as you like. This isn't a glorified games console: you use your own clubs, your own balls and play a round as if you were on a real course. 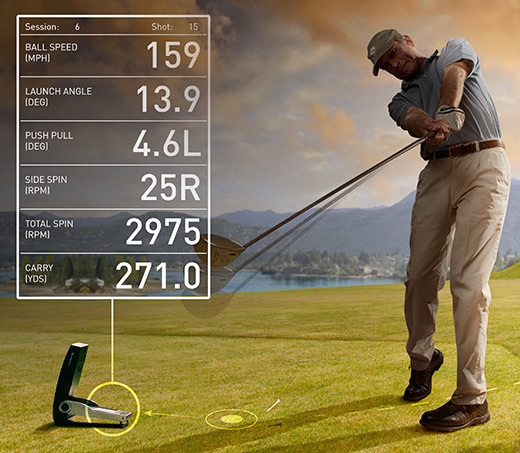 The screen is specially designed to deaden even the most powerful of drives and the system accurately shows the shot you just made. The simplest way to appreciate the capabilities of the system is to contact us and arrange a session to see how life like it really is.